It’s a human instinct to tell stories and essentially, stories tell who we are. The past of human kind is written in stories and we still share shorter and longer reports of what we’ve done and how we feel every day with our nearest and dearest. A simple “how are you?” will go a long way. 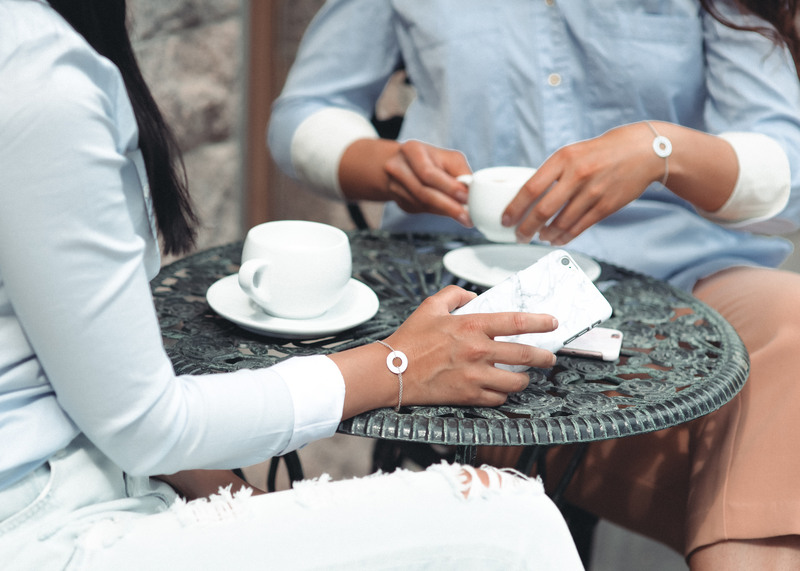 The founder and first designer of LUV NORTH, Laura Paananen, came up with the idea of the Story jewelry line by listening to people. She was working as a photographer and so she met many mothers, who wanted to have their portrait taken with their beloved children. Listening to those stories Laura soon realized, that the mothers were longing for something more than a photograph that captures the moment. They wanted something that would symbolize the long and beautiful journey they share with their children. 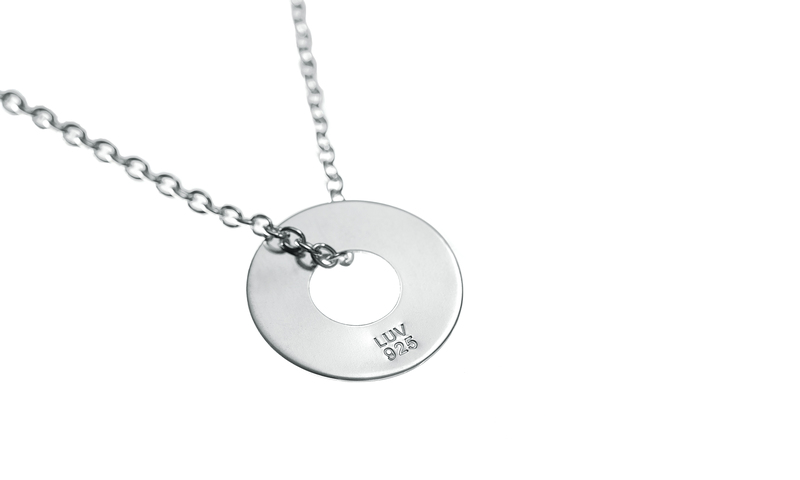 Thus, Laura came up with the idea of a symbolic lucky coin that the mothers can carry with them when their children are still young. Then, when they grow up, the mother can share the memory, the other coin of her jewelry, with the child. The Story necklace was born. From the beginning, the idea was to design the jewel to have a simple clear shape so that every single jewel will eventually have a unique story to tell through all the little marks the mother and then the child have left on it by using it. On the clear surface the owners of the jewel may also engrave important names, words or dates. With their beautiful design and the unique ornaments written on them by time the Story jewelry will continue to travel with its wearer. By varying the length of the chain and changing the necklace to a bracelet or back, this jewelry also suits every style and fashion. Besides, this symbolic lucky coin is not only for mothers and their children – it’s for anyone, who wants their experiences to be craved in a beautiful but solid firm form. With the Short Story accompanied by all its friends – Long Story, Modern Story and Strong Story – there is a perfect Story for everyone. What’s the story behind the design then? It was not only the special kind of love binding the mother and the child that inspired Laura to give gold and silver such a beautiful shape and bind it to a necklace and a bracelet. Also warm memories and great experiences with family from Laura’s childhood affected her creative process. During the summers of her childhood Laura would spend her time on their family’s summer cottage in Bornholm, Denmark, which is located just below the coast of Sweden. Every day her mother would give some coins for her to buy something from the kiosk down the street. They thread the coins, with the little holes in the middle, on a string that Laura’s mother tied around her neck. 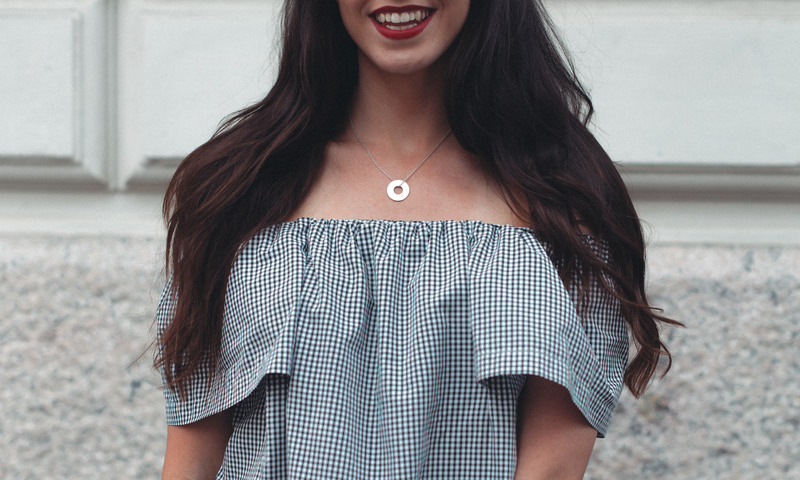 When the summer was over, Laura would always keep the last coin and with all the spontaneity and creativity of the child, she wanted to wear it to school as a necklace and as a reminder of the happy summer days on the island with her family. Hope you all make wonderful stories this summer with your nearest and dearest! Photos by Bettina Lamspringe (1, 2) and Suvi Sievilä (3).